CyTechnology provides organizations and their IT departments its professional services, guidance, assistance and support throughout holidays, upgrades and unexpected problems. To ultimately assist with a suitable IT strategy in line with your organisation’s IT infrastructure to achieve your commercial goals. Promising the finest IT solutions to its clients, CyTechnology continues to offers its full expertise by providing organisations with a member of its highly professional team who not only understand the client’s business but is also available to offer ad-hoc projects such as re-location, technology upgrades and migrations. As part of our client-centric customer service, all your data is backed by a secure personalised customer portal where you can track support cases, monitor network performance, and access all your business documentation, contracts and SLA information. Contact us for flexible support and a trusted partner you can rely on, offering excellent levels of expertise, experience and resources to keep your business systems running smoothly. 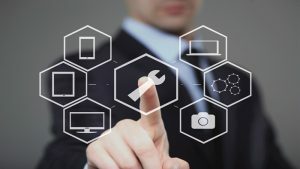 CyTechnology’s specialists will ensure the smooth running of your IT infrastructure and the consistent delivery of high quality IT support, guidance, consultation and recommendations. Our talented team of IT experts continuously drive creativity and innovation and never stop striving to provide you with an exceptional customer experience. Our helpdesk is central to all our support services with on-hand solutions to handle your technical issues specially tailored to meet your business needs and goals. Most of our services can be delivered through cloud-based servers however where this is not possible, CyTechnology also provides its expertise on-premises whereby one of its specialists is deployed on site to deal with any IT problems which you may be experiencing. Our management software acts as the command centre for all our proactive maintenance and monitoring. We cover holidays, upgrades or unforeseen problems and provide you with constant support and guidance. You will receive a monthly report so you can see how your systems are performing and receive an audit trail of activity and performance. We use intelligent technology and deliver services with integrity allowing us to provide you with personalised support perfectly tailored to suit your requirements. We keep you informed and up-to-date with the latest service and support innovations to guide and differentiate your business to achieve its ultimate goals. We provide you with regular service reviews aimed at taking the hassle out of your IT systems and helping you prepare for the future. Contact us today to find out more on how we can expertly support your IT systems and assist you in achieving your goals.